Of Nevada's 1,998,257 residents, 478,434 of them live in Las Vegas, and 1,375,765 in Clark County. Clearly, this area has a special draw. An artesian spring discovered here shortened the Spanish Trail, and quickened the rush out west. Fourteen years later, John Fremont camped in the valley. His name is remembered through as the Fremont Street and the Fremont Hotel-Casino namesake. Railroad developers decided in the late 1800s the Las Vegas Nevada, given its water resources, would be an ideal site for a stop town. As the tent town around the railroad construction grew, saloons, stores, and houses began to spring up. 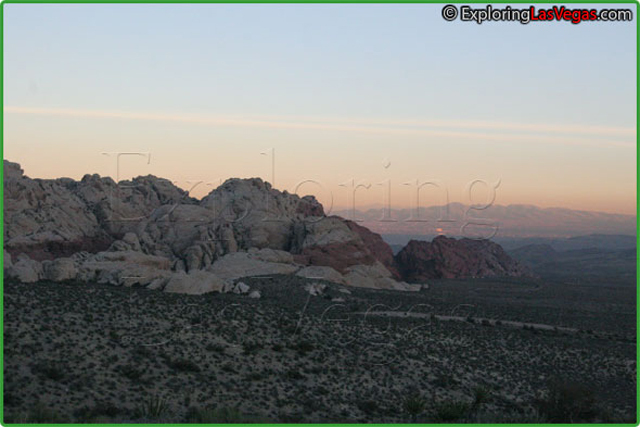 Las Vegas Nevada itself was founded on May 15, 1905. Shortly thereafter, the railroad company auctioned off 1,200 lots of land, which became Glitter Gulch. In 1910, an anti-gambling law was passed in Nevada, which lasted about three weeks in Las Vegas before citizens established an underground gambling network. Legalized gambling reestablished itself in Las Vegas during the Great Depression, in an effort to raise necessary taxes for schools. Today, more than 43 percent of the Nevada state general fund is financed with gambling tax revenue, of which 34 percent goes into public education. Despite the depression, Las Vegas' location (and railroad development and gambling industry) provided the community with jobs aplenty. In 1941, accomplished hotelman Tommy Hull built the El Rancho Hotel Casino on what would become the world famous Las Vegas Strip. While WWII stalled development of the strip for several years, the nearby Nellis Air Force Base grew, providing a variety of jobs. The late 1940s, prompted by El Rancho's success, saw a building boom on the Las Vegas Strip. Las Vegas NV, however, has always been a city in flux. The original casinos have been demolished, renovated, or sold since, and the process continues. This process of constant renewal and improvement appeals to the millions of tourists that visit Las Vegas each year. 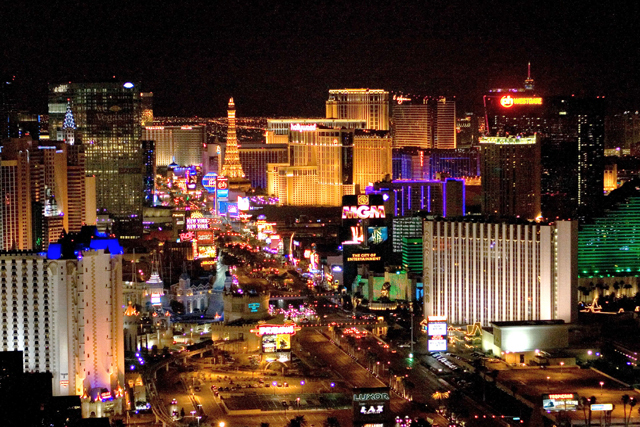 Las Vegas is paramount to Nevada's economy, and does so through spectacular entertainment.